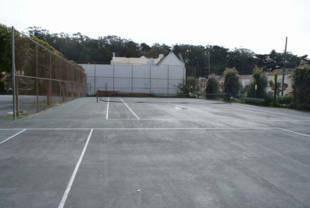 This park includes basketball and tennis courts and a sheltered sand playground with climbing structures, as well as picnic tables, public restrooms, and a recreation center. 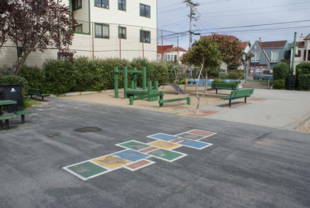 Playground Facility Contact: (415) 666-7009. 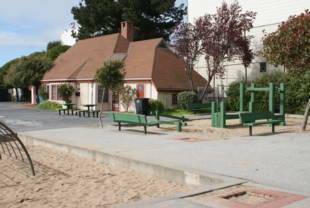 Fulton Playground is owned by the San Francisco Recreation and Park Department. 5 Fulton -- Fulton and 28th Ave. Walk a half-block north on 28th to the park. 29 Sunset -- Crossover Drive/25th Ave. and Fulton. 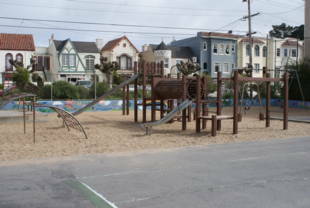 Walk two blocks west on Fulton to 27th Ave, then north a half-block to the park. 31 Balboa -- 28th Ave. and Balboa. Walk 1.5 blocks south on 28th to the park.